It seems these days that there is not a single movie series from the past left untouched when it comes to remakes, prequels of sequels. While some might argue that it’s out of pure lack of inspiration and the almost certain success the film will receive, others don’t really mind, and just sit back to enjoy a new release of their favorite franchise. This time, it’s the Ocean’s films that get a sequel with Ocean’s Eight. No George Clooney or Brad Pitt this time though, but badass women such as Sandra Bullock and Cate Blanchett. Debbie Ocean (Sandra Bullock) is a convicted felon and sister of Danny Ocean (you remember, George Clooney’s character in the Ocean’s trilogy), but after serving a good deal of her sentence, she is released from prison early. While she promised to be good this time, it doesn’t take long before she goes down a shady path once again. As soon as she’s released from prison, she goes to visit an old friend, Lou (Cate Blanchett), who used to be her partner in crime but is now the owner of a nightclub. Debbie comes to Lou with a clear plan: rob a 150 million necklace that will be worn by the famous actress Daphne Kluger (Anne Hathaway) at the Met Gala, THE event of the year for fashionable New York. Lou is in on the plan, but they won’t be able to do this on their own. That’s why they call in the help of some other cunning women: Nine Ball (Rihanna), a hacker, Constance (Awkwafina), a common thief, Rose Weil (Helena Bonham Carter), a fallen fashion designer, Tammy (Sarah Paulson), a thief become housewife, and last but not least Amita (Mindy Kaling), a jeweler’s daughter. Together they plan one of the biggest heists in American history. Question is: will they succeed? For fans of the Ocean’s trilogy, this movie must come as a bit of a déjà vu. Just like Danny in the Ocean’s Eleven movie, Debbie concocts a plan for the biggest heist ever seen while she’s in prison, then she’s let out early, and immediately forms a team around her to execute her plan. Danny’s men went for the casino, Debbie’s women for the diamonds at the Met. 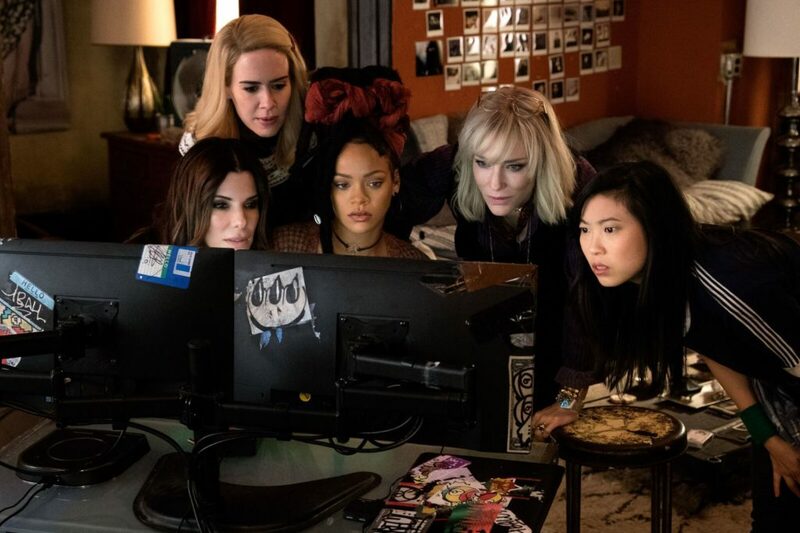 Even though the stories are very similar, Ocean’s Eight is still quite a fun film to watch. The story is quite slow, but does really take the time to zoom in on each character. While it slows the story down, it could also definitely be seen as a good aspect, as with so many characters, things could easily get too complicated without a proper introduction. Just like the Ocean’s trilogy, Oceans Eight too has an absolute top cast. It’s rarely seen that so many celebrities star in a film like this, where there’s actually one storyline where they all fit in. Sandra Bullock and Cate Blanchett show once more what diverse characters they can handle. Helena Bonham Carter’s character Rose Weill is quite unstable, which is a characteristic that often comes back in her roles. Also celebrities from other branches such as Rihanna and Awkwafina joined the ranks. Definitely Rihanna was actually quite convincing. 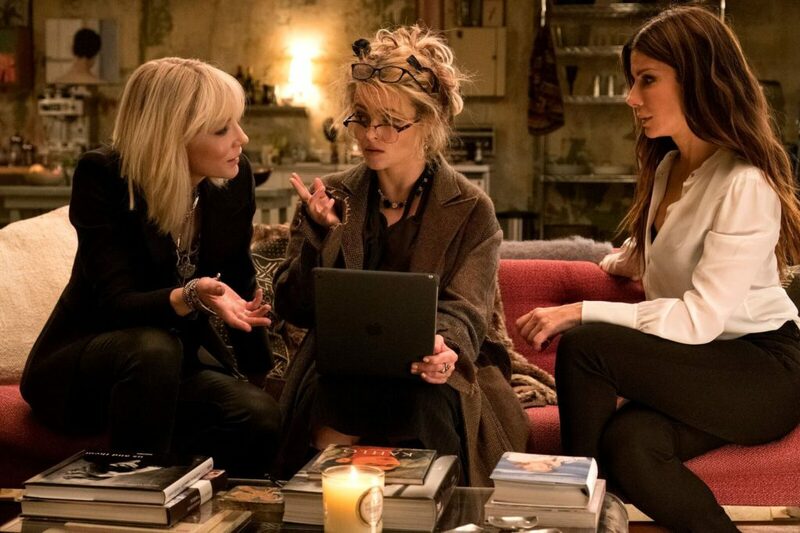 The Blu-ray edition of Ocean’s Eight offers some interesting content that actually contributes to the movie as a whole, rather than simply lengthen it by throwing useless snippets at us. You’ll see how the Met Gala was recreated and how the director worked together with Vogue and those of the institution to make a fictional Met Gala that could rival the real one. Other than that, there’s more inside information about the characters and why some actresses were chosen to perform in this movie. There are also some deleted scenes to vie if you’re into that. 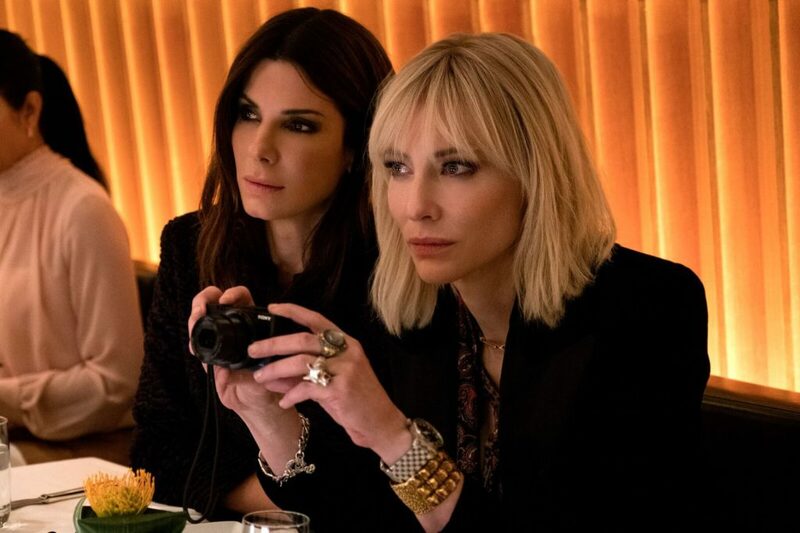 Let’s make one thing clear: Ocean’s Eight is definitely not a bad movie. 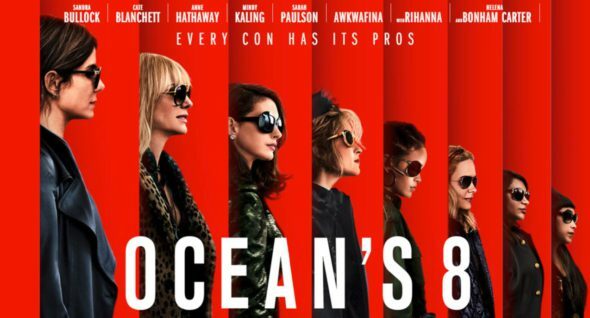 A lot of references are made to the original Ocean’s Eleven film, almost to the point where you could say it is a remake, but with women in the lead this time. Nonetheless, there was still an original touch to the whole. Acting was on point, and the extras of this Blu-ray release are actually worth something. It may not be better than the original, but you will definitely have a good time watching this one if you enjoyed Ocean’s Eleven, Twelve and Thirteen.